M for Mississippi: A Road Trip through the Birth of the Blues will have its worldwide premiere on Saturday, Oct. 11, at the Delta Cinema at #11 Third Street in downtown Clarksdale, Miss. The film follows blues producers - Roger Stolle of Cat Head Delta Blues & Folk Art and Jeff Konkel of Broke & Hungry Records - on a weeklong journey across Mississippi visiting a dozen of the state’s most fascinating blues figures. "We planned this road-trip movie for two years," said Stolle. "We avoided big concert stages and rock-star narrators in favor of intimate houseparties and rockin' Delta juke joints." The premiere screening of the 94-minute film will be both preceded and followed by live music from artists featured in the film. Blues guitarist Bill Abel and 81-year-old harmonica player "Cadillac" John Nolden will perform a brief set at the Delta Cinema at 6 p.m., prior to the film's inaugural showing. After the 6:45 pm screening, the action heads down the street to the world-famous Ground Zero Blues Club where the line up will include T-Model Ford, Robert "Bilbo" Walker and Wesley "Junebug" Jefferson. "We aimed to capture the essence of the Delta's blues survivors and show why the blues simply had to come from a place like Mississippi," explained Konkel. The film is being released on DVD this fall along with a companion CD soundtrack. Pre-orders are being accepted through the film’s official Web site at www.mformississippi.com. Items pre-ordered through the Web site are expected to ship by mid-October. A larger international rollout will follow with the DVD and CD soundtrack expected in stores beginning November 18. The DVD's bonus features include deleted/extended scenes, closed captioning, behind the scenes footage and more. For more information on M for Mississippi, contact Jeff Konkel at 314.304.8928 or by e-mail at jeff@brokeandhungryrecords.com or Roger Stolle at 662.624.5992 or by e-mail at roger@cathead.biz. With his 83rd birthday right around the corner, B.B. 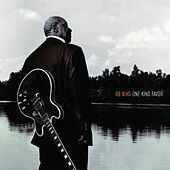 King released his latest album, One Kind Favor. It debuted at No. 11 on Billboard's list of best-selling albums and Rolling Stone called it one of the finest works of his long career. In addition to his vocals, he has an awesome back-up band for the album: Jim Keltner (John Lennon, Mick Jagger) on drums, Nathan East (Clapton) on stand-up bass and Dr. John on piano. T-Bone Burnett produced the album. "We were trying to get back to the real roots," King said. "We tend to get away from it a little bit, do things that sound like jazz or rock-'n-roll-ish. With this we're trying to do nothing but play the roots of the blues." Last week, Pearl River Resort signed a deal to add a Ground Zero Blues Club to the Choctaw resort. The club is slated to open in October of 2009, according to resort officials, with construction beginning this month. The location will be the third one - the original club opened in Clarksdale in 2001 and there is also one in Memphis next to the Westin Hotel. The club has been named within the "Top 100 Bars and Nightclubs in America" by Nightclub & Bar Magazine for three years in a row. Plans are to make the Ground Zero Blues Club the centerpiece of the Golden Moon Hotel and Casino, including a performance space to host nationally recognized and regional blues acts. The club will bring its famous food with it, like fried catfish and the Highway 61 Burger. The Highway 61 Blues Museum in Leland recently moved to a new location, just in time for the Highway 61 Blues Festival set for June 7 (featuring Honeyboy Edwards). Its new location is the former Montgomery Hotel building at 307 North Broad Street. The new space also allows for temporary exhibits, and the first is a series of photographs of Delta artists by Bill Steber. 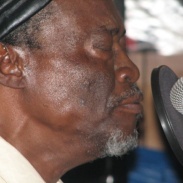 Wesley "Junebug" Jefferson recently of Clarksdale recently discovered that he has lung cancer, and the blues community has stepped up with fund-raising events. There has already been one event at Ground Zero Blues Club in Clarksdale. On June 6, there will be a benefit at Po Monkey's juke joint in Merigold. If you can't attend the benefit, donations for Jefferson can be sent directly to him at 737 Maple St., Clarksdale, MS, 38614 (or just send a card or a letter letting him know he and his family are in your thoughts even). Malaco Records, based in Jackson, Miss., and one of the most successful rhythm and blues and gospel record companies in the world, was recently honored with a marker on the Mississippi Blues Trail. 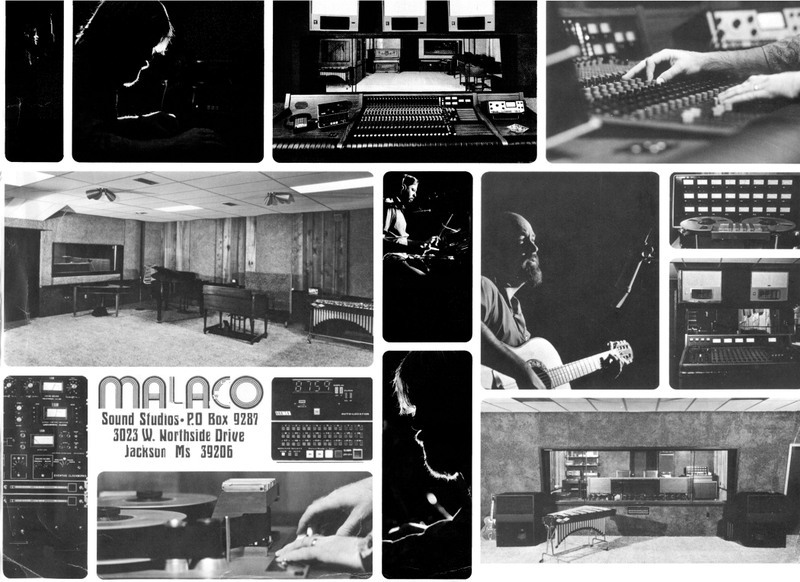 Malaco is a combination of Malouf and Couch, the last names of two of the company's founders. Tommy Couch began booking bands at the University of Mississippi in his position as social chairman of his fraternity. He moved to Jackson after graduation, worked as a pharmacist, and formed the company with his brother-in-law, Mitchell Malouf. Gerald Stephenson, a fellow Ole Miss alumnus, joined the two a few years later. Their first big break came with Dorothy Moore's "Misty Blue," which hit No. 2 on the R&B charts and No. 3 on the pop charts in 1976. More recently, Malaco has introduced Southern Soul Radio, all-soul, all-the-time Internet radio station. They also have plans for syndication to radio stations nationwide soon. Bill Minor had an article in The Clarion-Ledger on Feb. 29 about Claud Johnson, a 76-year-old Crystal Springs man who was declared the biological son and sole heir of legendary bluesman Robert Johnson, whom he never met. It was interesting stuff. If you're a blues fan, you should definitely check it out. Here's some more background. The L.A. Times also ran an in-depth piece about the estate wrangling. After Claud was proclaimed the sole heir and inherited the estate, he created the Robert Johnson Blues Foundation. 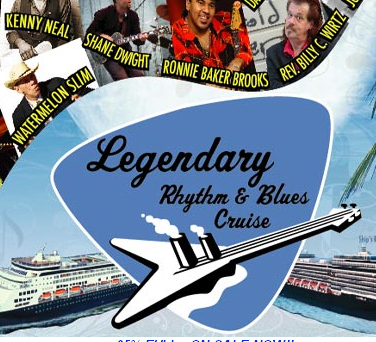 During the Legendary Rhythm & Blues Cruise, travelers enjoy live concerts and jam sessions with legendary performers. And passengers are invited to bring their instruments to play with one another or with the pros in two selective lounges. You never know who you’ll share a stage with! The 2008 Blues Music Awards will be held May 8 in Tunica at Harrah's Casino Tunica. The awards, sponsored by the Blues Foundation, are one of the most prestigious events in blues music. It's the first time the awards have ever been held in the Mississippi Delta. The event brings together blues performers, industry representatives and fans from all over the world to celebrate the best blues recordings and performances from the previous year. The Blues Hall of Fame Induction Ceremony and Charter Members' Dinner will be held the night before on May 7 at the Tunica RiverPark museum. To see all the 2008 nominees, click here. A Mississippi Blues Trail marker was unveiled on Nov. 17 at the former downtown Jackson site of Trumpet Records. Willard F. and Lillian S. McMurry launched the label from their retail store, the Record Mart, in 1950. The first releases by Mississippi blues legends Sonny Boy Williamson II, Elmore James, and Willie Love appeared on Trumpet. Trumpet also recorded gospel and country music. The label used several different studios for recording sessions, including Diamond Recording Studio, housed in the back room of the store. The McMurrys entered the record business by chance, when they acquired a stock of blues and rhythm & blues 78-rpm discs as part of an inventory of a hardware store they purchased in 1949. The McMurrys main trade, before and after their venture into music, was in retail furniture sales. The McMurrys' State Furniture Company store at one time served as a makeshift recording studio, with mattresses lined on the walls to soundproof the room. In 1949, they opened the Record Mart in the former hardware store building as an outlet to service what they had discovered was a ready-made market for blues records, centrally located on Farish Street. The next year, they expanded their musical venture to recording, and brought the St. Andrews Gospelaires into a local radio station (WRBC) for their first session. Other sessions at various studios followed as the company added the Southern Sons Quartette, Sonny Boy Williamson, Kay Kellum, Willie Love, Big Joe Williams, Jerry McCain, Jimmy Swan, Luke McDaniel, Arthur Crudup and others. Trumpets biggest hit was "Dust My Broom" by Elmore James, recorded in 1951. The operation, which included the Globe publishing company and record label, held its final sessions in 1956. Lillian McMurry continued decades after Trumpet folded, paying artists and songwriters royalties from reissues and rerecording of the songs they had recorded for Trumpet. Lillian McMurry was elected to the Blues Hall of Fame in 1998. She died on March 18, 1999. Her husband Willard, who provided the backbone of support for their business ventures, died on June 7, 1996.